A label of luxury has been printed on Sardinia Holidays. Which is no surprise really? The world gets to hear about this Mediterranean Island through its famous visitors that have chosen the splendid shores of the Emerald Coast, for their Sardinian holiday hideaway. Images of their luxurious life styles that blend in perfectly with the natural picturesque scenery and the crystal waters, with its shades of green reflect the precious gem that has been chosen to name this coastline, naturally lead to that label. So, is that what Sardinia tourism is really all about? Sardinia holidays are for everyone… whether you choose; to camp, stay in a small cosy bed and breakfast, a spacious villa or go for an all inclusive luxury beach resort. One thing remains the same for all… Sardinia's natural beauty is a luxury that can be enjoyed and experienced no matter the budget. Maybe for all the reasons above, Ogliastra is a Province that still remains a masterpiece of natures work. The picturesque landscapes and sceneries reveal the ancient history of Sardinia and a sense of peace and tranquillity can be felt. Ogliastra where hospitality is second nature and where traditions are not only practiced but also proudly shared. What to really expect in Sardinia Ogliastra? My friends first experience of Sardinia holidays was when she came to visit me 20 years ago; her first comment was "it's like being in the back of beyond!" I told her not to exaggerate, but I could understand where she was coming from. What I think she meant was, every where in Sardinia looked so deserted, which was understandable. Sardinia's territory is very well spaced out and can give that impression. 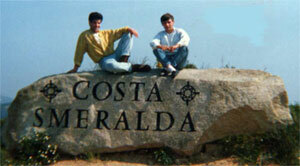 Getting to Sardinia was not easy and direct flights to Sardinia were hard to find. 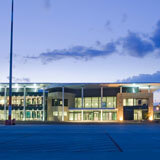 My friend arrived at Cagliari Elmas (CAG) airport,(Cagliari,the capital of Sardinia) via Rome Campino (CIA) airport. Although, I have seen people travel Sardinia with a back pack and bike touring, for me, Car hire is the easiest way to get around and explore the little villages dotted here and there. Just the idea of pedalling up those mountain roads … phew! Over the past couple of decades; the Marina area of Ogliastra has slowly improved services to offer tourists, for their Sardinia holidays. 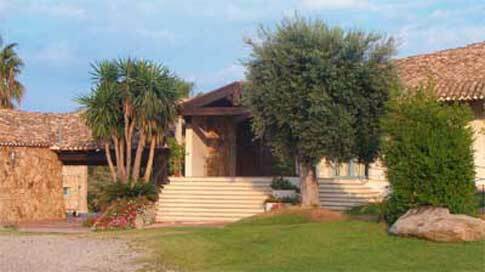 Luxury Beach resorts and beautiful hotels in Sardinia have emerged and many organised tours. You are spoilt for choice when it comes to looking for your Sardinia holiday accommodation. 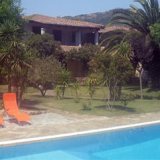 A traditional Sardinia residence offering comfortable and peaceful accommodations, vacation homes rentals by owner make a holiday, town houses in the mountain villages , a home from home experience and you can see why country homes for rent in Sardinia can be truly lovely experiences. Yet still! We are very far behind many other areas in the world. I personally don't look at this as a down fall; on the contrary, our lack of so called "made to measure entertainment and attractions for the tourists" is what makes this place genuine and of course this is one of the main reasons why some to choose to come and live in Sardinia. If you have been on packages holidays, then you can understand what I mean by a commercialised holiday. Well, Sardinia holidays in Ogliastra are far from being the same sort of holiday. 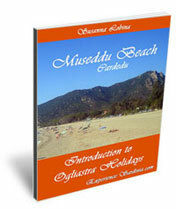 Sardinia holidays in Ogliastra are an experience of the true way of Sardinian life. Ogliastra truly is a beautiful province. The east coast beaches, in my opinion should be included in the list of best beaches in the world. 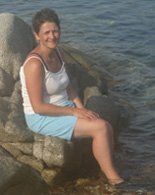 I have lazed in the sun on all the beaches along the Ogliastra coast. Which is the best beach? Good question! You see, they are all beautiful, each one has its own special characteristics, that makes them unique and to difficult compare. If I was asked to boil it down to my personal best beach, then I would choose then I would choose the beaches of Sardinia in the Marina di Gairo also known as "Museddu". My childhood memories play an important role in my choice, as my Sardinia holidays were always based on this Ogliastra beach. 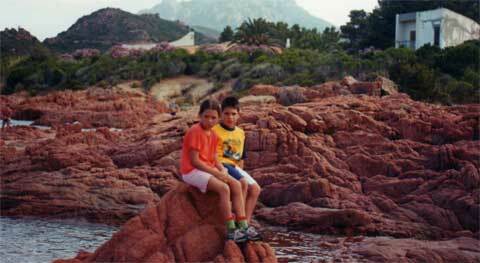 When my children still wanted me to take them to the seaside, their first choice was always the "Su Sirboni" beach. Swimming and exploring the warm shallow waters in this secluded bay, that is a mix of fine white sandy shores and dominating red rocks, it was no wonder they wanted me to take them there. It is not the easiest of places to get to and find, a map and directions, are of course the solution. It would be a sin, to go without mentioning food and wine. The passion for our typical Italian food goes from the preparation to the actual eating and of course the pleasure of offering to our guests. 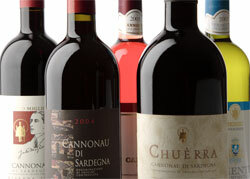 Sardinia is an Italian wine region. The various types of grapes grown in Ogliastra produce many types of red wine. 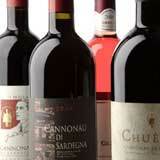 The most famous is Cannonau di Sardegna. One of the most important food and wine festival to be organised in Sardinia is in my home town, the "Citta Del Vino" Jerzu. "Calici Di Stelle", which is the name given to this wine festival that is always held on the 10th of August. So if you're in Sardinia on this day be sure to make it an appointment. Jerzu is transformed into an outdoor party… eat, drink and dance until dawn, Sardinian style… that's if you can last that long! Small town festivals are held all over Sardinia, they echo the Sardinian's pride for their "Terra Sarda". It is our unique, simple way of presenting our antique traditions and customs. 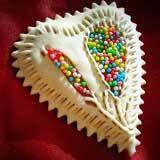 Italian cookies are one of my greatest passions... (Like to know why? 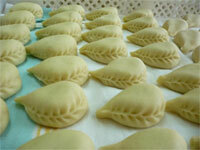 ), and play an important role in Italian food customs. Amongst the many traditional Italian cookies you'll find the Sardinian style amaretti cookies. Just one of the many specialties of almond paste cookies of this island. If you are looking for Italian cookie recipes or looking for something special, like Italian Christmas cookies, I have a few secrets up my sleeves. The warm summer evenings at weekends are an invitation to eating out with family and friends. Throughout the summer we will visit a number of pizza restaurants and every time I go, I like to try the different types of pizza available. For the special occasions, I prefer a more traditional menu and the best place to find that is in an Agritourisum. It is a true Sardinia style home cooking experience; the best part is that I don't have to prepare myself. The discussion around a dinner table where Sardinian men are concerned, well, at least in my family (and I know for a fact in many other families too!) always leads to one, and that is the hunting calendar. I assure you that there is more shooting going off around our dinner table (I do not mean that literally) than in a day of wild boar hunting. Although there are many debates on the subject of hunting, it is a sport that is widely practiced. Sardinia holidays… In a nutshell! Putting Sardinia in a nutshell is impossible! There is so much to tell and share, we islanders, have a passion for our territory and all that goes with it… This passion is only surpassed with the pride of sharing it with our visitor's. I hope you enjoy the site. Feel free to print out what ever interests you most. Nothing would give me more pleasure than, when you tell the people in this hidden corner of Sardinia, how you actually came to find them. Where to begin your tour? 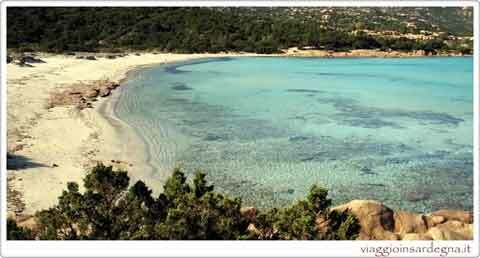 Why not first take a look around the wonderful Italian beaches of Sardinia find an area that intrigues you. 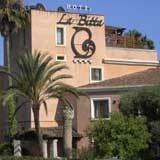 Then see what Sardinia holiday accommodations are available in that area for example hotels in Sardinia. These days there are many websites that offer a wide choice of accommodations to browse, the one I like in particular is Trivago. Their website is easy to use and understand finding you the best offer on the web for your choice, you can visit their site right here to see for yourself. 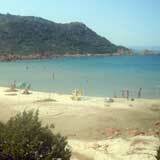 And then finally see how flights to Sardinia can help you find the easiest Sardinia airport for you destination.